Some of them I follow back because, well, obviously I’m interested in the topic and they seem to be interested in a lot of things including (in this case) IoT. They might find my mainly fundraising, prospect development, and HNW topics interesting and relevant to their life/work, too. (Or possibly they just like the eye candy photos of my weekend baking adventures). But the ones that are all-topic-all-the-time, I look at and think “friend, you’re about to be disappointed if you think my Twitter stream is going to be nothing but IoT.” They probably don’t last long as my followers, anyway, which is okay by me. I want my Twitter relationships to be mutually beneficial, mutually interesting. After my IoT article, I was followed by a data pro who lives in Denmark. I checked out his bio to see that he’s interested in Data Quality, Multi-Domain Master Data Management and Big Data. His twitter feed is full of the hashtag #MDM. I squinted at the screen thinking I have no idea what that is. I do now because – of course – I had to go look it up. Henrik’s blog and the articles he points to provide a wealth of context around his subject. As I was diving into the deep end of MDM, I was reminded about what what Rick Snyder had to say in his post earlier this month. Curiosity is the successful prospect researcher’s key attribute; it’s our secret sauce. Our killer app. Fundraising as a profession may be an old-fashioned relationship-based business, but the ways we form relationships are changing rapidly and becoming technologically enhanced. Prospect development professionals are the new-tech vanguard for our offices. We read, we ponder, and we work out how we can apply new technologies and new methods to increase our shops’ effectiveness. To create mutually beneficial, mutually interesting relationships with our donors. 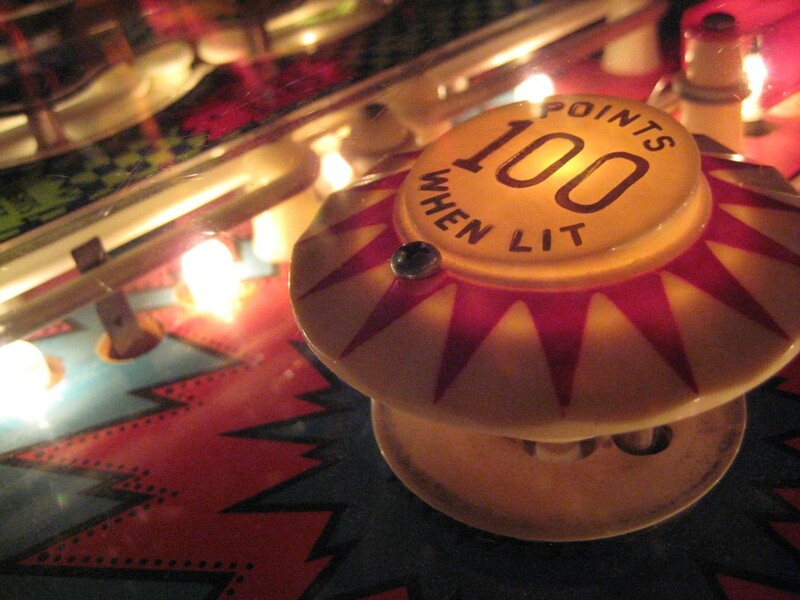 Because of social media, and particularly Twitter, I’ve been introduced to new people with new information for me, and sometimes I feel like a pinball careening from bumper to bumper. From analytics to big data to IoT to MDM professionals. From experts on tax shelter islands to family offices to luxury real estate in world capitals. From prospect development to competitive intelligence professionals to data science pros. And at every stage, with every new relationship, I’ve learned more and careened toward another bumper. There are so many things – technology, products, trends – that are tangential to our field that are relevant and will have an impact on our work. Some of them are slowly creeping up, others will change our lives overnight. Finding out about these new technologies often feels happily serendipitous, and I’m grateful for new social media tools that allow me to be a silver ball in the arcade game. Maybe every once in a while I’m a bumper where someone finds something new that helps them careen, too. How might MDM impact prospect research and fundraising? Maybe not at all. Maybe a lot. I don’t know, but I’m glad to know about it. And frequently I find that, once I’ve heard about something, I start to see it pop up everywhere. Is it just because it’s new (and therefore everywhere), or was it always there and I just never noticed before? It doesn’t really matter – what’s important for me is keeping up on what’s going on in our field and in the next field over. Learning. Sharing. And forming relationships that are mutually beneficial.